Kiehl&apos;s has been in the grooming business for over 150 years but they&apos;re still leading the game in next generation innovation. The brand&apos;s newly-launched “Oil Eliminator” collection, which includes a face wash, toner and “anti-shine” moisturizer all utilize Aerolite. Aerolite, for those without engineering degrees, is an extremely lightweight material most often used as insulating by NASA. Aerolite is 99.98 percent air by volume and has the ability to absorb more than four times its weight in oil, making it a revolutionary addition to cosmetic products. So go ahead and get sweaty, oily and dirty this summer. Thanks to science and Kiehl&apos;s skincare lab, your skin won&apos;t be able to tell the difference. 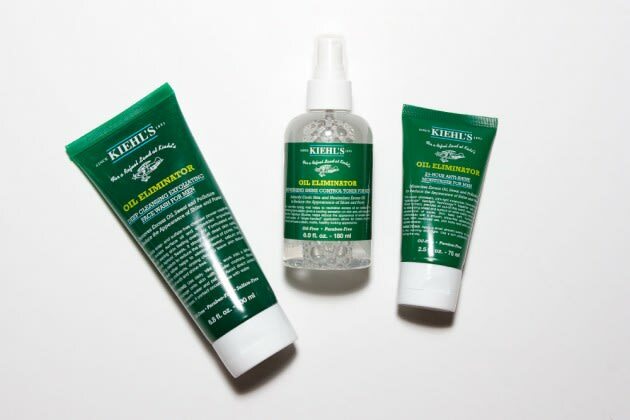 The Oil Eliminator collection is available now at Kiehl’s.